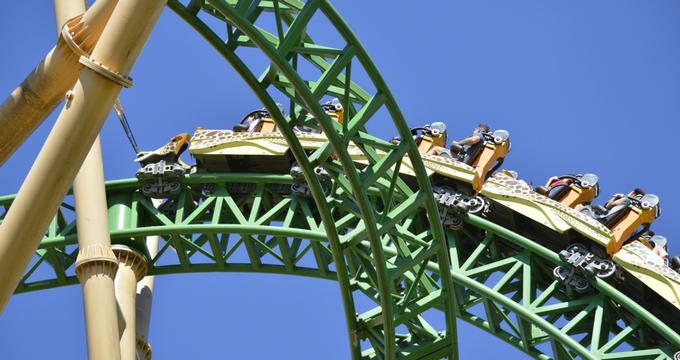 Busch Gardens is one of the two theme parks within the United States that are owned and operated by Seaworld. It’s got two theme parks, the main one being in Tampa, Florida, established back in 1959, and a second one in Williamsburg, Virgina, which has been around since 1975. The Busch Gardens in Tampa Bay has an African theme about it and was originally referred to as “The Dark Continent”. It is currently one of the largest zoological institutions in the United States, spanning 335 acres and home to more than 2,700 animals. It features a number of attractions and rides. Meanwhile, the park in Williamsburg sports a European vibe, formerly known as “The Old Country.” Much like the original park, it has a lot of attractions and rides as well as regular night shows and gift shops. Needless to say, both parks have a lot of interesting attractions, bringing in countless visitors every day throughout the year. If you’re one of those people who will be bringing their families to these parks, planning and preparing for these trips can require a bit of work and working knowledge about the park’s features and points of interest. Even when you’re already there, you’re bound to reach a point where you’ll need information about the location of a certain attraction and more. This is where Seaworld’s Busch Gardens app comes in. Much like all its other parks (i.e. SeaWorld, Sesame Place), SeaWorld Entertainment has developed special mobile apps to help improve their visitors’ overall experience whenever they explore Busch Gardens. The app has everything a visitor would need in order to enter and go about the park, saving their time and effort trying to figure things out. The Busch Garden App has versions for both iOS and Android, making it accessible to pretty much anyone who owns a smartphone. Just like any other app, they can be downloaded off their respective app stores, iTunes and Play Store, respectively. The apps are lightweight and don’t take up too much space, so you wouldn’t mind adding it to your list of apps. They’re also pretty user-friendly, so even the least tech-savvy users will eventually learn how to use them to navigate the park as well as enhance their overall experience. In the words of SeaWorld, the Busch Gardens App is really a way to “Put the Park in Your Pocket.” The app provides users with all kinds of valuable features that help them make the most of their day at the park. This includes updated information about wait times for each attraction and even exclusive offers. Day Planning Tools: The Busch Gardens app helps users better plan their visit to the park by giving them information on their different attractions. For instance, users can look up how long the waits are for a specific attraction so they don’t waste time going to attractions or shows that have queues that are too long to wait for. They’ll also get special insider tips on the park and pretty much anything that will help them manage their trip in a way that they spend less time looking for attractions and actually enjoying them. In-App Purchasing: Buying park tickets and other services no longer have to be a hassle with the Busch Gardens app. Users can go ahead and purchase the tickets directly through the app. They can also get a wide selection of extra services in the same manner as well. Not only is this method of purchasing services secure, they’re very convenient and save a lot of time as well. Interactive Park Maps: People get lost in theme parks like these, either because they’re new, forgot where an attraction was, or that the park had certain changes. The app comes with park maps that work with GPS so that users can effectively navigate with them. This saves everyone the time otherwise wasting getting lost or asking for directions. Scavenger Hunt: The app isn’t just informative and useful, it’s fun too! The Busch Gardens app comes with a scavenger hunt feature in honor of the park’s 50th celebration. The app rewards users who have vast knowledge of SeaWorld by allowing them to hunt for and collect badges around the park. Not only is this a fun activity for visitors, but successful players will earn in-park rewards as well. Height Limit Attraction Filter: Visiting the park with the little ones? Not all rides allow children on them, so you need to keep height requirements in mind. Luckily, the Busch Gardens app has a feature that sorts out the attractions that have minimum height requirements. That way, you can better plan your visit with no one in the family getting left out because they’re not tall enough for the ride. Car Finder: People never realize how valuable this feature is until they experience using it. Being able to find where they parked the car after spending an entire day in the theme park can be quite the challenge. With the Busch Gardens App, users will be able to take note of where they parked the car, which means that they have a smooth sailing experience not only during but also after their visit to the park. Fun Frames: The Busch Gardens App has its own creative frames users can make use of to enhance photos taken during their park visit before sharing them on social media. Exclusive Deals & Offers: Users of the app are also treated to special and exclusive offers and discounts that can allow them to save on services and improve their park experience overall. With all its features, the Busch Gardens app is definitely a must-have for anyone who wants to visit any of SeaWorld’s Busch Gardens parks. Long time visitors of the theme park will surely see the difference on their next visit after downloading the app. Finally, don’t forget to look into the other mobile apps by SeaWorld as well, because they created one for each of their theme parks!